In 2009, Vincennes University’s counseling center was awarded a $5,000 grant from the Indiana Campus Sexual Assault Prevention Project to serve as a model for sexual violence prevention in the state. But a year later the center declined to participate in the project because it didn’t want its small staff to reduce the number of clinical hours spent with students needing mental health counseling. The center also discontinued a grant-funded program to reduce underage drinking. The decisions to abandon outreach programs, documented in annual reports prepared by counseling center director Lisa Bishop, is just one piece of evidence of the center’s struggles to meet the mental health demands of the university’s 16,595 students. The center has been requesting additional staff since it lost a full-time clinician in 2001, but the requests have been denied by the university. In addition to Bishop, a clinical psychologist, VU’s counseling center consists of a full-time support staffer, a part-time licensed mental health counselor and a part-time certified substance abuse specialist. Bishop, who originally agreed to an interview, later cancelled the appointment and failed to respond to follow-up requests. But her annual reports to the university indicate the difficulties the center faces. 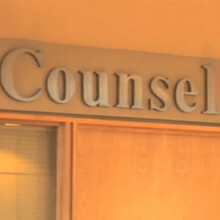 The counseling center has long provided services to faculty and staff, but Bishop reports having to scale back that assistance because of the need to prioritize student mental health.